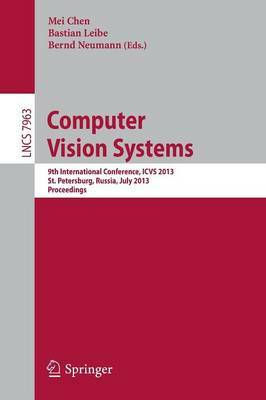 This book constitutes the refereed proceedings of the 9th International Conference on Computer Vision Systems, ICVS 2013, held in St. Petersburg, Russia, July 16-18, 2013. Proceedings. The 16 revised papers presented with 20 poster papers were carefully reviewed and selected from 94 submissions. The papers are organized in topical sections on image and video capture; visual attention and object detection; self-localization and pose estimation; motion and tracking; 3D reconstruction; features, learning and validation.